When he first came to California in 1849, Joshua H. Bean was a soldier in the Mexican-American War serving under Zachary Taylor. That same year, Taylor would win the election for the 12th President of the United States in 1849. Fans of Wild West stories might know some stories about Judge Roy Bean, who was Joshua’s brother. Judge Bean was a hanging judge by recognition, but reality was a bit different from the fable. He’d only sentenced two men to death, but he’d spent some time owning saloons before he became a judge. Joshua decided to take that profession with him to California. California had steady foot traffic, and saloons were good business. Life was developing in places like San Diego, and saloons also doubled as trading posts. 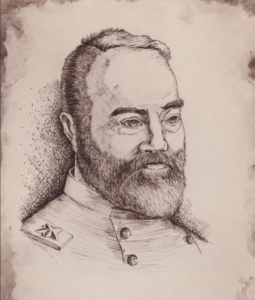 This opened up a world of business to Joshua, and his military experience earned him the appointment of Major General to the State militia. His work there helped to defend the territory from warring natives in the area. By the time the California legislature had incorporated San Diego, Bean had worked his way up to alcalde of San Diego. San Diego held its first election in 1850, and it was then that Bean won the title of mayor. Unfortunately, power proved to be corrupting for Bean. He was involved in several illegal land deals for his own profit and the benefit of a drinking partner. Authorities seized the title for San Diego City Hall from Bean, who was attempting to sell it before he escaped to Los Angeles. Bean’s legacy fizzled in 1852, when he was killed in a scuffle after arguing with the wrong person near a mission outside San Gabriel. Bio: Retired Archbishop James Provence spends his time blogging about history around the Web. James Provence is also a volunteer docent of the California Railway Museum in Sacramento.